What is slander (fitnah) and the Islamic viewpoint about it? What is the ruling for a person who accept a potential slanderous statement without verifying its validity? 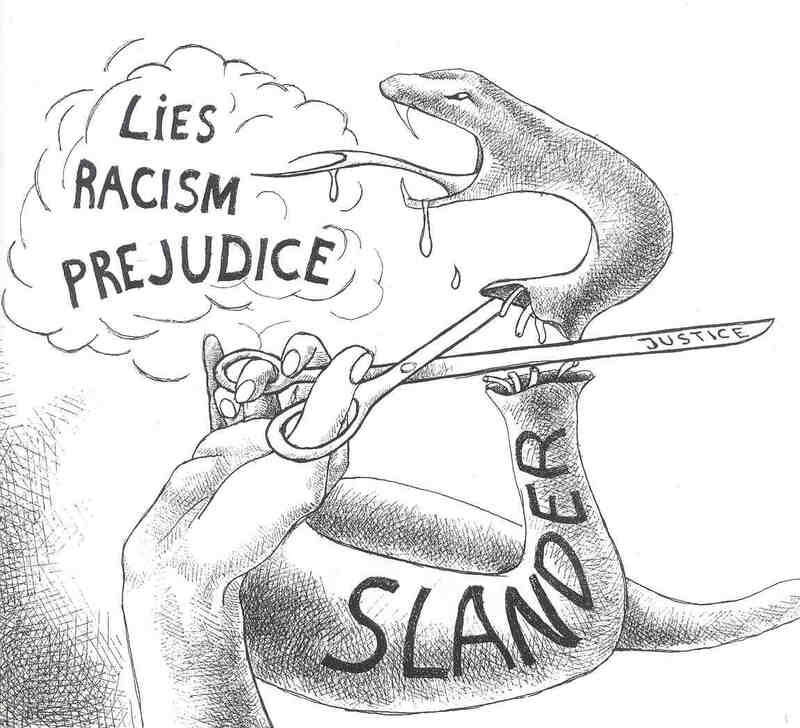 Slander means saying something which is not true about someone else that damage his reputation. It is a form of lie and is forbidden by our religion. It is obligatory, for a person who has committed slander, to ask forgiveness from Allah for doing what He forbids and from the person concerned for defaming his/her reputation. It must be reminded that legal actions can be taken against slanderer and those who contribute to dissemination of slander. We should always be careful when conveying information about a person in order to avoid from committing slander. For example, we should not forward or spread news or information received via email or from the Internet about other that is hearsay in nature because Islam requires Muslims to verify and validate news whether they are true or false. See The Quran, 49: 6. Even when the information received was true after verification, Islam teaches Muslims not to spread the news that relates a person’s flaw or shortcoming, unless there is a maslahah (recognised interest). Instead, we are enjoined to cover the person’s flaw from others but, at the same time, strive to reform him. We must refrain from getting angry when hearing someone is spreading false information about us. We should first ascertain the truth to this news. If it is confirmed true, we should first ask from the person explanation. The person who commits the offence may not has malicious intent, but because of lapse in his/her judgments and due to personal weakness. When approached correctly and explained, he/she may come to a realisation and apologise. Do not also be quick in making negative conclusion when we see something amiss about someone. Instead, we are to think good of the person first. We should strive to reconcile two parties that are at odds due to slander. See The Quran, 49: 10-11. In this situation, we should not take sides, even with the person who is in the right because taking side will impede our ability to mediate the problem effectively.